Lawyers are the lynch pins of a civil, safe and just society (lawyer jokes aside). Attorneys are in such unique position where they must delicately balance the scales of justice and law with the principles of modern entrepreneurship– and the lawscape is a jungle out there. Law school is no longer the golden ticket it once seemed to be. In fact, “Above the Law” remarked in 2012 that law schools should probably come with disclaimers like “warning: employment statistics may explode under pressure,” and “only intended to be taken with a grain of salt.” In fact, only slightly more than half of law school graduates are finding work in the legal field, according to the ABA journal. However, there are few fields available to those who retain their degree and want to expand. So what’s an attorney to do? There may not be a vast sea of new career opportunities out there for lawyers, so the best way to thrive is to adapt. The best way to adapt is to build a blueprint for success, which can start with a simple 60-day plan of how to market your law firm. Will Rogers said “The minute you read something you can’t understand, you can almost be sure it was drawn up by a lawyer.” Although no two businesses or marketing plans should ever be exactly the same, there are some base assessment questions every attorney should ponder during the first week of drafting their marketing plan. ATL notes that every attorney’s marketing plan should be SMART, an acronym for Specific, Measurable, Attainable, Realistic and Timely. AMT also offers a great template as a jumping point for your marketing plan, found here, downloadable at the Legal Marketing Reader’s report. Mobile marketing for attorneys has begun to emerge as a tour de force in the legal world, and as every last man, woman and child seems glued to their phone, finessing this dominant force will soon be the key to many industries that serve clients. Aside from grazing Facebook and checking into LinkedIn here and there, most people reach for their cell phone when they want to truly connect. That’s where mobile apps come in. The technology at our fingertips is fantastic, but the greatness behind new apps isn’t the tech– it’s that they use it to personalize experiences you can’t get from a machine. ScanBizCards HD Lite: This app bridges old and new tech by using your iPhone’s camera to do more than scan cards and save them. This app allows the user to send an email directly from the information on the card and connect automatically to their LinkedIn profiles. This app has an extremely high accuracy rate for hand-written information while allowing the user to marry print and digital technology. One Touch Law: OTL is the first app of its kind that can instantly connect lawyers and potential clients through video. Clients can browse lawyer bios, reviews and specialties in their region. 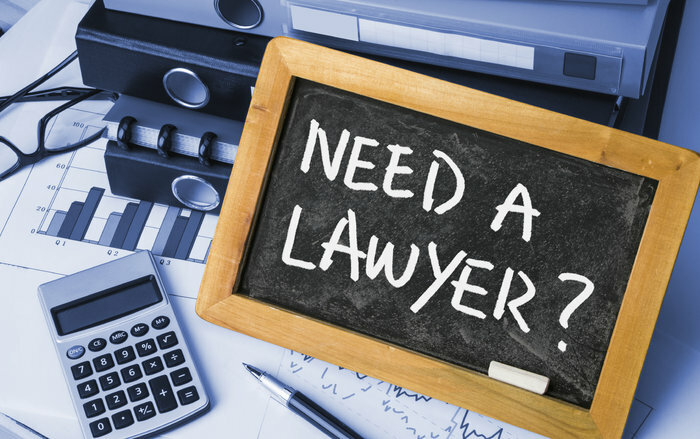 If interested, the client can video chat or have a phone call with the attorney at their convenience . . . with the touch of a button. OTL is also an effective marketing tool for lawyers to be able to set their schedules and determine which types of consults they need to grow their business. Presentation clock: This app is a simple tool that teaches lawyers how and when to speak. Public speakers know that timing, even in small personal conversations, can make or break a conversation. Presentation clock allows the attorney, whether they’re on a video call or at a speaking event, to perfectly time the sections of their speeches. No babbling, no crickets chirping. Surely an app to benefit any lawyer at some time or another. “Plan the work” covers week one of the 60-day re-vamp process, but the verdict won’t be great unless you and/or your marketing team are committed to “working the plan.” This method generally falls into three categories– structure of the marketing outreach, the platforms and mediums used, and the message and narrative behind you and your brand.